You are here: Home / Health & Parenting / Overweight Kids Take a Lot of Grief. Here’s How to Help. Harassment of overweight and obese children is pervasive. It may be the most common type of teasing and bullying. “We see terrible bullying,” said Dr. Putt, director of outpatient therapy. 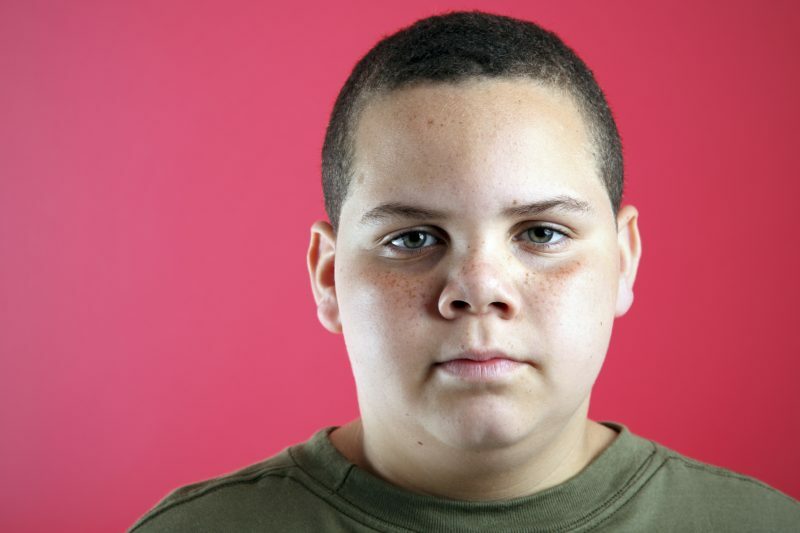 “An obese child is 65 percent more likely to be bullied than a non-obese child. It’s not only common, it’s the norm. People often view excess body fat as a personal failure, a character flaw. The stigma fosters harassment and adds fuel to a host of psychological problems obese children often face, Dr. Putt said. These children are at risk for depression, low self-esteem, poor body image, eating disorders, and behavioral and learning problems. New research shows weight-based teasing in adolescence may also lead to health problems down the road. The federally funded study by the Rudd Center for Food Policy and Obesity at the University of Connecticut and the University of Minnesota School of Public Health found that being teased predicted eating disorders, obesity, poor body image and unhealthy weight control in adulthood. “When you’re younger, your differences may not be something you embrace,” Dr. Putt explained. “You want to blend into the woodwork. You want to become part of the social group and the crowd, and do what they are doing. Parents sometimes mistakenly think that singling out their overweight children will motivate them to lose weight, Dr. Putt said. But calling attention to their body fat, especially in the presence of others, does not motivate. It signals lack of acceptance, which contributes to negative body image. “If there’s one person who’s going to say you look nice, shouldn’t it be your mom?” Dr. Putt said. Help your kids lose weight by committing the family to healthy eating and exercise. Keep it positive. Strong social supports create a protective environment for kids. Dr. Putt recalled an overweight girl who found acceptance after joining the drama club, a huge turning point for her. Be positive, be a good model. Create an environment where kids feel comfortable talking about their weight and any problems they’re having with teasing. Focus attention on your children’s strengths and positive attributes. Compliment their successes and help build their self-esteem. “Loving yourself for who you are, accepting yourself for who you are, a lot of that starts with modeling,” Dr. Putt said. If you are constantly down on yourself, chasing diet fads and projecting negativity about your own body image, what messages are you sending? “One of my favorite quotes is: Lose weight because you love your body, not because you hate it,” Dr. Putt said.